The is one of my favorite designs. 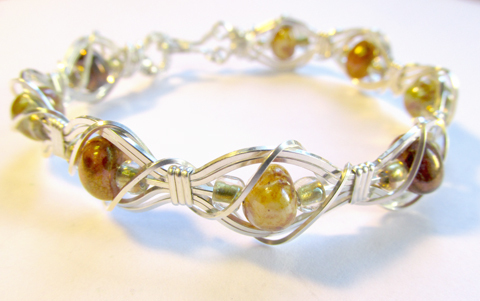 It is a fun bracelet to make using square dead soft wire to enhance your choice of beads. You will be using sterling silver filled wire and have your choice of bead colors. Class fee includes sterling silver filled wire, beads of choice, written instructions with photographs and use of instructors tools.